It becomes very difficult for the big, stout and heavy built men to fit into normal clothes that are readily available in the market. The big built men also feel the urge to wear fashionable clothes that can enhance their personality and let them enjoy the trendy styles that the other man keeps flaunting. Our online fashion outlet is the real solution to all the worries of the big guys. 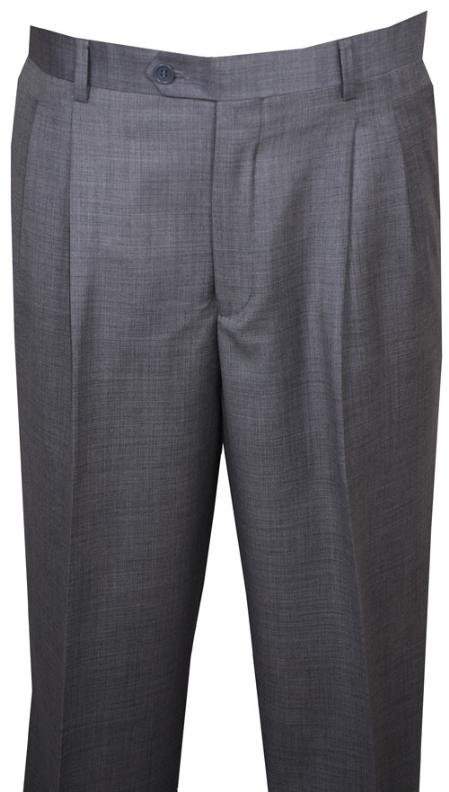 The big men's pants are easily available keeping in mind the latest fashion trends for you. The selection of the big size outfits, not just depend on the limited stock but we give you the variety, fashion, style, and comfort with extensive and varied clothing line through our online store. The not so big men also enjoy the benefit of the plus size apparels that gives you the comfortable feel while at home or informal Fridays or Saturdays working or while you relax and unwind your day. None of you want your pants to be uncomfortable that may cause trouble while you are on move or maybe when you are just sitting with too much work pressure. Our online store helps you to fit into comfortable and stylish clothes with a great sense of taste in colors that can make you look thinner without pinching or bunching your comfort zone. The fit of big men's pantsis very crucial while you buy one. There are men who simply wear outfits that they don't fit in properly. Anything too tight, calls for attention and right fabric is the key to conceal the areas of attention. Tight fit clothes focus the heaviness and also cause discomfort. It is very important while buying big men's clothing to make sure that the thigh have enough cloth on them, if the fabric is pulled tight that means there isn't any room in the thighs which can be the cause of discomfort and shame in front of your colleagues or friends and family. Too loose clothes can also be the cause of concern and create an illusion of a larger figure. The pattern of the apparel can be very tricky for the big built men. The area specific print pattern can enhance a modern and fashionable look for the huge built men. The colors also play a vital role in selecting the big men's pants. The bold and deeper shades are the slimming tones and the big men can choose the colors intelligently to match the latest fashion trends to look happening. At Mensusa, you get the freedom to choose from a great collection. From big silk suit jacket, the best brands, quality fabric, latest fashionable plus size apparels at cost effective prices are available for the solution to all your worries.